Be bold in neon hues and high-impact pigment with Max Factor’s new Wild Collection. It’s the brand’s most extreme collection to date – think vibrant eye colour teamed with intense black lashes. The new Wild Shadow Pencils, £5.99, are the hero product in the range. They’re easy to use and can be worn as a liner or applied all over as a wash of colour. 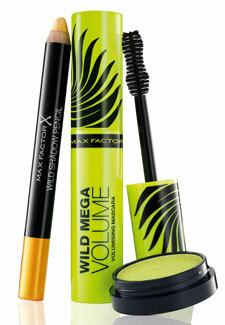 We’re also loving the new Wild Mega Volume Mascara, £6.99 – it really draws up your lashes without clumping. Build up a few coats for an intense result. The collection has just launched in Boots and Superdrug stores nationwide.